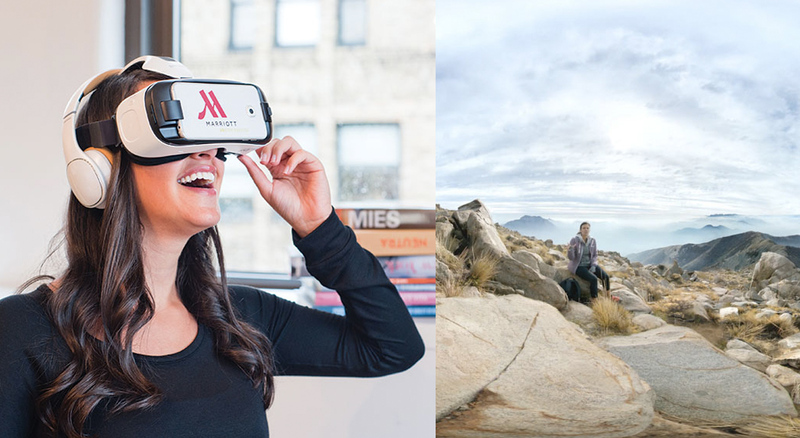 Can Virtual Reality Destroy The Tourism Industry? Virtual Reality is the most talked about invention in recent times. While the technology holds many advantages for various industries like education, healthcare, military training, architecture and civil engineering, art etc., I think the technology might stand a chance to hamper the booming tourism industry. Virtual Reality as the term complies, means experiencing ‘virtual’ and ‘reality’, imparting near reality like familiarity, stimulating our two main sense organs – sight and sound. Virtual Reality is a computer-generated artificial environment that simulates the real-time experience. The user feels so engrossed in the graphics that he accepts it as the real environment. 3D is the simplest form of virtual reality where we feel one with the on-going 3D movie or computer game, etc. VR technology can lead to exciting new experiences. You can experience Paris while you are still sitting in India. Whenever it is too dangerous or impractical to do something, you can try it by using Virtual Reality. Similarly, there might be many people who dream of visiting many places around the world but are constrained monetarily or physically. Virtual Reality could be the answer to their worries. The VR technology is expected to advance and provide such realistic and beautiful experiences, that a tourist will feel he is actually present in the virtual world and is experiencing it. Technology is literally robbing mankind of its human touch. For example, since Facebook and WhatsApp became mainstream, people have literally stopped calling up friends and family. They prefer to ‘like’ or ‘chat’ rather than talk. Though there will be people who will prefer to physically visit the place and spend quality time with family, VR could still adversely affect the tourism industry. Why pay money if you can experience the world from the convenience of your home. It is like online shopping/ banking – why go out and stand in queues when you can buy/ bank from your home. The tourism industry should watch out for this new technology, in my opinion. Currently, the VR technology is a little expensive to reach the masses. But as the technology advances, prices will go down and it would become more accessible. We need a balance between technology and human touch to make the best out of it. Otherwise, we will keep on losing the human element in the futuristic world.